The Belvedere complex is an architectural masterpiece of a bygone aristocratic splendor designed to project a sense of earthly harmony. This terrestrial utopia was founded in the first decades of the 18th c. as a summer residence for Prince Eugene of Savoy, the commander-in-chief of the Austrian army and one of the most successful military commanders in modern European history. 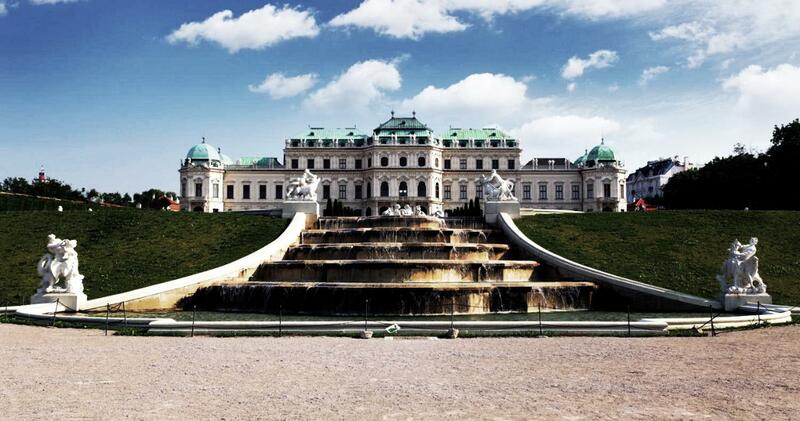 Among the most significant buildings of the 18th c., the grandiose palace of the Upper Belvedere is a masterstroke of Baroque architecture while the surrounding formal gardens were inspired by classical antiquity. The great water basin in the upper parterre, the tiered fountains and cascades peopled by nymphs and goddesses, the marble statues of gods and heroes, the intricacy of the wrought iron gates still testify to the legacy of Eugene’s significant patronage of the arts. Against this backdrop, the prince’s private apartments eloquently illustrate the taste of the owner and the artistic achievements of his time. In the Upper Belvedere, your guide will help you to explore the Baroque elements of the Festive room, while in the Lower Belvedere, we’ll discuss the art historical features of the Marble Hall, the Marble Gallery and the Gold Cabinet. After Eugene’s death, the complex continued to play a significant cultural role in Austrian history. 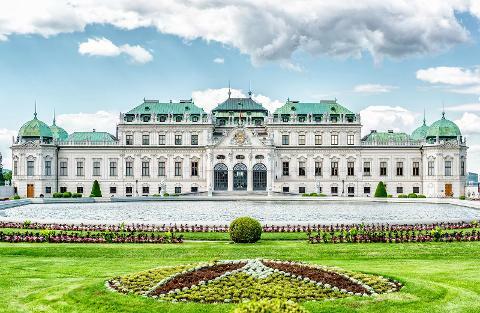 Inspired by the idea of enlightened absolutism the Belvedere became one of the first public museums in the world with the intention to make the Habsburgs’ imperial collection accessible to the general public. Today the Belvedere Museum exhibits a world-class compilation of Austrian and international painting from the Middle Ages to the present day, including precious items of the Austrian National Gallery: masterpieces by including some of Gustav Klimt’s most acclaimed paintings: works from his golden period: “The Kiss,” “Judith,” landscapes from the Attersee series and sophisticated portraits of high society ladies. As a counterpoint, the dramatic and contorted style of Klimt’s younger colleague, Egon Schiele (also on display) evokes the unfolding trauma of the First World War in a profoundly autobiographical manner. 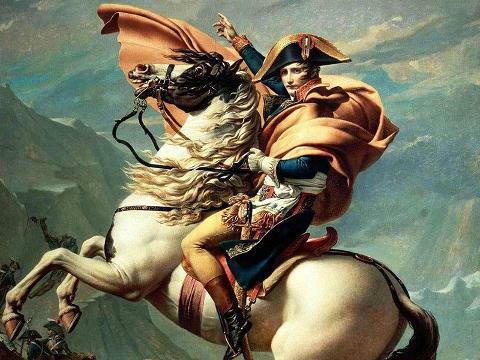 The museum also boasts works of Jacques Louis David, Caspar David Friedrich, Auguste Rodin, Claude Monet, Giuseppe Segantini and Vincent van Gogh. After the 1 hour excursion to the grounds and palaces, your guide will give you an introductory 1.5 hour tour to point out the Art Museum’s highlights: besides Klimt's great canvasses, David’s well-known “Napoleon on The Great St. Bernhard Pass” (1801), where propagandistic pathos melds with the artist’s fiery boldness. In a different way, Caspar David Friedrich’s atmospheric “Seashore in the Fog” combines romantic introspection with metaphysical symbolism in a sensitively, precisely painted maritime landscape. Austrian painting in the era of Biedermeier is represented by Friedrich von Amerling’s emotive rendering of familial affection in “Rudolf von Arthaber and his Children” (1837) and by Friedrich Waldmüller’s “The Morning of Corpus Christi” (1857), where the realistic reproduction of sunlight is the major compositional means of demonstrating the sacred on earth. 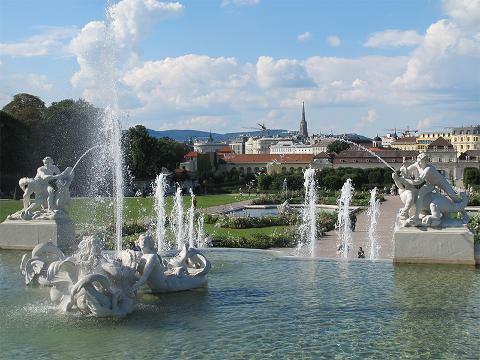 If you wish to visit the Lower Belvedere's temporary exhibition after your tour ends, you'll want to purchase a combined ticket to both Upper and Lower Belvedere.